Making the move from laser to thermal printing of all your letter-sized pharmacy documents is now possible thanks to the new Endurasprint™ Thermal Printing Solution. Because our turnkey solution speaks the same printer language (PCL) as your legacy automation software, conversion is simple and painless. 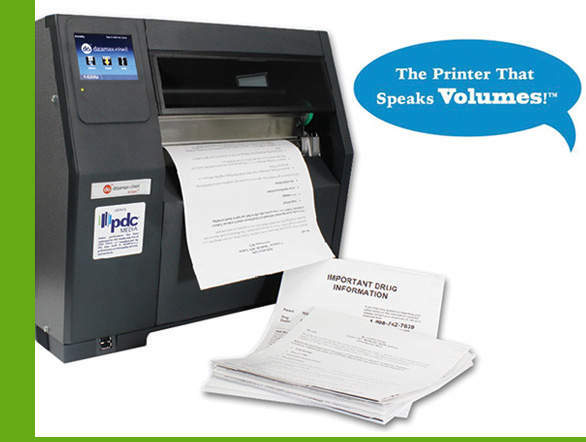 The feature-rich printer is idea for high volume document and label printing. Don't let your automation workflow get bogged down at the packaging workstation. Make the move to thermal printing to boost your printing performance! Request more information and get a free, personalized cost-savings analysis or demonstration!